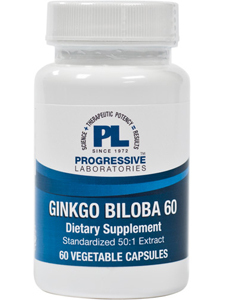 Ginkgo Biloba has demonstrated remarkable effect on various parts of the circulatory and nervous systems. This helps the brain, eyes, ears and legs all function better. Ginkgo Biloba is a plant extract containing several compounds that has positive effects on cells within the brain and the body. Ginkgo Biloba is thought to have both antioxidant and anti-inflammatory properties, to protect cell membranes and to regulate neurotransmitter function. *discount when purchased at Burtis Chiropractic Center only.